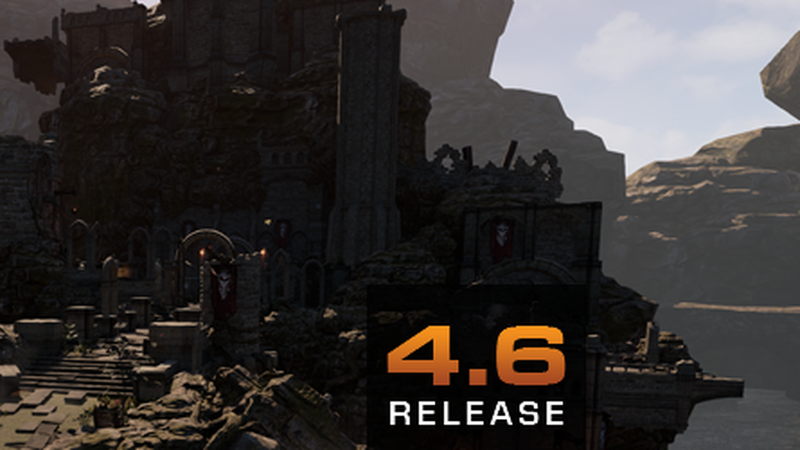 "Unreal Engine 4.6 arrives with a slew of lighting and material improvements, support for capturing and playing back network demos, and huge updates to animation workflows, including root motion blending and multi-montage support! The new Mobile Preview rendering mode lets you edit your scene just as it would appear on a mobile device. UI creation with Unreal Motion Graphics has been greatly enhanced, and you can now place interactive UI widgets right into 3D scenes. We’ve also continued improvements to mobile and console platforms in 4.6, along with hundreds of other features and bug fixes. This release includes 88 great changes that were submitted from Unreal Engine’s amazing community of developers." Continuano ad aggiornare, spero che questa volta ci sia della documentazione in più.. darmi una funzione in più che però non è spiegata da nessuna parte fa perdere un sacco di ore nella sperimentazione.